Canon FS400 Flash Memory Camcorder- A Nice little consumer camcorder for $200! This is a good little camcorder for family, kids and fun. Its small, easy to use and boasts a 37x optical zoom! The Canon FS400 can use a variety of memory cards including SD, SDHC and SDXC. 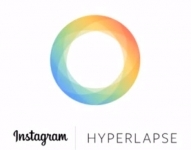 With a 1 GB card, you can capture ten minutes of highest quality video. With a 64 GB card you can capture over 14 hours of high quality video. If you opt for Long Play video quality, you can capture an astonishing 41 hours of video with a 64 GB card! 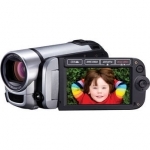 Affordable, easy to use, and very small, this is a perfect camcorder for your kids and for travel. 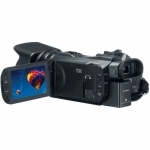 The Canon VIXIA HF G30 camcorder - quick internet video uploads. the VIXIA HF G30 camcorder. This new camcorder features a powerful 20x Genuine Canon HD Video Lens, MP4 recording, and built-in Wi-Fi® capability with dual band wireless support, making the VIXIA HF G30 camcorder a great device to help preserve inspirational moments in stunning image quality. Whether capturing a once in a lifetime trip or creating a movie, avid videographers will enjoy the sophisticated capabilities of this powerful device in a compact body.